Noam Chomsky recently engaged in a smear campaign against Architects and Engineers for 9/11 Truth by misrepresenting what their efforts are, what they actually say, and their size, which he called “miniscule”. After some 30 email correspondences with Noam Chomsky, author-researcher Kevin Ryan has regretfully had to conclude that Chomsky has not availed himself of information about 9/11 that is readily available to everyone after these many years, including the information sent to Noam Chomsky by Kevin Ryan. 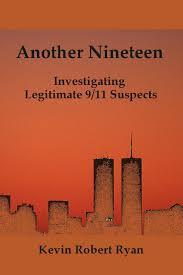 That includes his new book titled “Another Nineteen: Investigating Legitimate 9/11 Suspects”. Kevin Ryan calls Noam Chomsky’s dismissal of 9/11 research a position of “willful ignorance”. 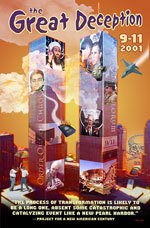 In his Florida speech Noam Chomsky responded to a question about World Trade Center Building 7 by claiming that he did not to know enough about the basic laws of physics to evaluate the destruction of the World Trade Center buildings on 9/11/01, saying that he would defer to the authority of people with credentials. In Dig Within, Kevin Ryan Ryan wrote that Chomsky made “an attempt to belittle, and downplay the sacrifices of, people seeking the truth”. Ryan reveals what Chomsky’s gate-keeper game is all about since he has a long history of dismissing deep political conspiracies going back to the JFK murder-coup of 1963. Chomsky supported the basic findings of the Warren Commission that Oswald acted alone. Kevin Ryan is co-founder of The Journal of 9/11 Studies and has a new book out titled “Another Nineteen: Investigating Legitimate 9/11 Suspects”. 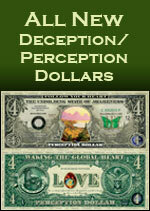 The Huffington Post ran an article by Ashley Alman on 11-26-13 titled: “Here’s The Video To Share With Anybody Who Still Buys Into 9/11 Truther Stuff”. The writer uses the video posted by the person who posed the question to Noam Chomsky, Bob Tuskin, without crediting him or covering his commentary at his video. Bob Tuskin YouTube Channel, Oct 18, 2013 – Florida 9/11 Truth activist Bob Tuskin poses a question to Noam Chomsky. He and his movement get ridiculed by Chomsky, but no rational response to the question posed was given. Rather than discuss the scientific points made in recent years by Architects and Engineers for 9/11 Truth, Chomsky calls AE911Truth a “miniscule group”. This avoidance of questions and the use of a haughty anti-intellectual engagement of the matters under debate has been going on for a long time. Such methodology only leads to speculation about what Chomsky must really think and whether he is under threats or if he is simply a “Left Gatekeeper” used to make certain topics “taboo” to keep them out of legitimate analysis of pivotal events. Kevin Ryan, author of “Another Nineteen: Investigating Legitimate 9/11 Suspects”. 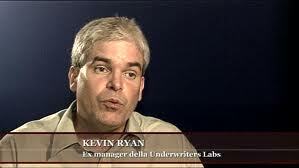 “Kevin Ryan is the co-editor of 9/11 Studies and a whistleblower from Underwriters Laboratories. He has contributed to many books and scientific articles on the subject of 9/11, and has made presentations around the U.S. and Canada. He has appeared on National Public Radio, Air America Radio, Pacifica Radio, C-SPAN Book TV, and Colorado Public Television.” Kevin Ryan’s blog is titled “Dig Within”. Vic Sadot Music Report: Noam Chomsky & 9/11 “BLOWBACK OR BLOODY TREASON” Questions – “NOAM CHOMSKY & The WILLFUL IGNORANCE OF 9/11”. Kevin Ryan responds to recent Chomsky remarks in Florida ridiculing Architects & Engineers for 9/11 Truth as a “tiny” group. Vic Sadot Music Report aimed a Broadside Ballad at Chomsky with a post of the BLOWBACK OR BLOODY TREASON music video from TRUTH TROUBADOUR YouTube Channel featured in the post on the Kevin Ryan exposé of Noam Chomsky’s specious complaints about people who continue to look into 9/11 and demand accountability.